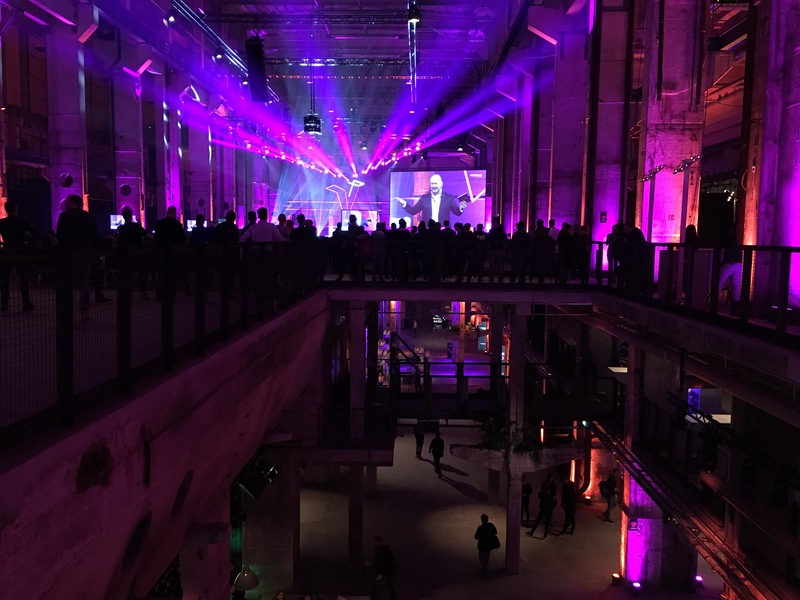 At Vizions, Zalando’s conference on the topic of platforms (see photo above), we talked with Marc Lamik, Head of Product for Innovation & Partnerships at Zalando, about Zalando’s next platform initiative. With the new “Zalando Build” initiative, startups will get the means to integrate their services into the main Zalando app. One of the beta launch partners is a startup that generates outfits, Lamik told us. The most novel aspect of Zalando Build is how users will discover those third-party services. Zalando will not gain an app directory or something similar. Instead results of the third-party services will be integrated as smoothly as possible into the user flow. So, say, one service’s results may show up in the main personalized feed the app starts up with, because the startup provides personalized sneakers and the user shops all day for sneakers. Or a user is searching for T-shirts and, right within the search results, a shirt mass customization service will pop up. The same thing may happen on the product site. This approach eliminates the setup hurdles for the end users. But it also creates new challenges: Zalando needs rigid UI guidelines to not let the app become irritatingly idiosyncratic. For startups, this may increase the black-box-iness of the platform: How and when will my service be found? Analytics may help here. But the inevitable rise of optimization will be interesting to watch if this takes off. (Every popular platform begets an optimizitation industry for its professional suppliers: SEO for Google, SEO for Amazon Marketplace etc.) One may target the feed, the search and the product site very differently. Zalando opens up APIs for startups to use its catalogue, meta data, the check-out and, of course, the possibility to do fulfillment with Zalando. (If, say, you sell a customized T-shirt and not something from the Zalando inventory this way.) For now, startups will have to apply for access but a more open approach is on the roadmap. Another novel aspect is the fact that third-party integrations are not necessarily marked as such. There will be integrations that are for end users not identifiable as not coming from Zalando. This keeps the app from getting confusing, but it also presents a dilemma for startups: You may integrate with Zalando gaining access to its huge customer base, you may also use all the back-end APIs so you don’t have to build the infrastructure yourself. You may make a profit via revenue sharing. But with simultaniously being completely invisible to the end-customer, by essentially being a white-label supplier to Zalando, the business you build this way could literally not be more dependent on Zalando. Still, this is the first fashion platform of its kind and it is very early days. All in all, this sounds promising. All this, of course, raises serious questions about the future of Zalando’s other stand-alone apps, most importantly Fleek and Movmnt; both of which were meant to become main pillars of Zalando’s future. (Remember last year’s Capital Markets Day? Such a long time ago!) Now, almost one and half year after launching those apps in the app stores and still no official PR move or even an official launch of any of these, the new initiative raises the question wether Zalando is doing a ‘pivot’ here. The advantage of Zalando Build over Fleek et al is obvious:1 Leveraging the existing reach of the main Zalando app kickstarts the platform. Startups in this space want to reach those customers. Zalando Build makes this easier than ever. While Zalando itself has to start from scratch with new mobile apps Fleek, Seen at, Movmnt etc. Zalando Build turns this conundrum of finding customers around: Startups, having the same challenge with their services finding users, don’t necessary need to push an app one needs to install. They’re available where the customers are already shopping, logged in and ready to go. That, at least, is the theory. Brands like Adidas, which already enjoy integrations into Zalando, could in theory in the future build their own Zalando Build apps as well, changing the way their products are presented and adding services to the Zalando app. Thinking this to its logical endpoint, it may in the end not be startups and legacy brands leveraging this new platfrom the most but new vertical digital only fashion brands. For the latter, Zalando’s main app could become the perfect place for focussing on what one does best and ruthlessly outsourcing the rest. build.zalando.com will go live today or tomorrow. This summer, the first integrations will go live in the Zalando app. The back-end APIs (meta data, catalogue, check-out, fulfillment, etc) which will be opened up to startups for Zalando Build will at one point in the future also be available to build stand-alone apps.